Patriarch Bartholomew is quite aggressive toward the Russian Orthodox Church without presenting grounds for his accusations. Moreover, it looks like the Ecumenical Patriarchate strives ‘not for the Unity’ of world Orthodoxy, but for its own supremacy over other Churches. It is going to be a month since the Ecumenical Patriarchate reinstated the primates of the Ukrainian Orthodox Church – Kyivan Patriarchate (UOC KP) and Ukrainian Autocephalous Orthodox Church (UAOC), thereby heading towards ‘the granting’ of the Tomos of Autocephaly of the Ukrainian Orthodox Church. This decision has already resulted in large-scale changes in Ukraine and the rest of the Orthodox world. So, what’s happening? The first thing that the Ukrainians did was redistributing property. A part of the deal between the Ecumenical Patriarchate and Ukrainian President Petro Poroshenko on Autocephaly was on a number of real estate properties (in the center of Kyiv). According to several rumors, Metropolitan Emmanuel of France (EP) visited the country to review the properties (their size and value impressed him). On October 18, Ukraine’s Verkhovna Rada passed the President’s bill to hand over the St. Andrew’s Church in Kyiv to the Ecumenical Patriarchate. Until that moment this Church served as the UAOC’s Cathedral. However, its primate Metropolitan Makarios supported the presidential decision, since his Church will be part of the new united Ukrainian Church and he is ready to sacrifice for unity. Meanwhile, the UOC-KP is preparing themselves to obtain new real estate properties. On October 20, UOC-KP the Synod changed the title of its head. As per the new decision, he will also be addressed as the “Holy Archimandrite of the Kyiv-Pechersk and Pochaiv Lavras”, (this property actually belongs to the UOC- MP). On the eve of elections, Filaret seems to demonstrate his supremacy before Makarios and the UOC-MP. UOC KP and UAOC are in conflict, which escalated with recent developments (since the Tomos will be granted shortly). UOC-MP certainly is in no haste to recognize Constantinople’s decision. The clergy of few large eparchies of the Moscow Patriarchate voted for Metropolitan Onufriy and against the Tomos. Met Onufriy openly claimed that the Phanar’s actions are uncanonical and called for defending the faith. Bishops won’t join the new Church without their clergy and dioceses. For instance, in the predominantly anti-Russian Rivne Oblast in western Ukraine, all the clergy and monks unilaterally supported Met. Onufriy. At a voting by secret ballot in Odessa Diocese, only 3 (!) priests of 406 were against Met Onufriy. In case Filaret and Makarios don’t reconcile and UOC MP bishops stand aside, the ‘Unification Council’ will fail. The only result yielded by the Ecumenical Patriarchate’s strategy would be an exarchate and acquiring of the valuable property in the center of Kyiv. But where is the promised unity of the Ukrainian Church? The Ecumenical Patriarchate has failed to reach Concord within the world Orthodoxy. It is starting to divide into two camps. Despite the cut ties, Moscow couldn’t be isolated: the Patriarchates of Alexandria, Antioch, and Slavic Churches are against Constantinople’s hasty actions on the Ukrainian question and the conflict is expected to be universal. Such stand-offs cannot foster the position of the Greek Orthodoxy. Constant quarrels between the Local Churches undermines the authority of the Orthodox Church in the eyes of Roman Catholics and Protestants. The ambiguous events influencing the Ecumenical Patriarchate’s reputation also added oil to the fire. First, the contents of the confidential talks on August 31 with Patriarch Kirill were leaked. The negotiations were recorded only by Constantinople’s representative, so it could not have been published without prior consent of Patriarch Bartholomew. Second, according to many sources, Ukrainian President Petro Poroshenko allegedly donated 25 million dollars to Phanar (which was collected from Ukrainian oligarchs). In the official photos of the meeting between Rostislav Pavlenko (the former Deputy Head of the Presidential Administration), a big case could be seen near His All-Holiness. In Ukraine, this caused a furious reaction, and there were attempts to initiate a corruption probe against Patriarch Bartholomew and President Poroshenko. Recently, a scandal related to the possible Autocephaly to the Macedonian Orthodox Church were discussed within Orthodox circles. As one of the Greek newspaper claimed, the delegation of the Serbian Orthodox Church (Macedonia doesn’t want to stay under its jurisdiction) came to Istanbul and ‘negotiated’ with the Ecumenical Patriarch, after which Constantinople allegedly refused to bestow the Tomos to Macedonia and Phanar immediately published a refutation. Above all, the Ecumenical Patriarch is quite aggressive toward the Russian Orthodox Church without presenting grounds for his accusations. Thus, he has recently blamed Moscow for the dissemination of “well-paid articles” and “black propaganda” without clarifying what he meant. Obviously, a series of scandals and aggression toward other Churches negatively affected Patriarch Bartholomew’s reputation. Moreover, it looks like the Ecumenical Patriarchate strives ‘not for the Unity’ of world Orthodoxy, but for its own supremacy over other Churches. 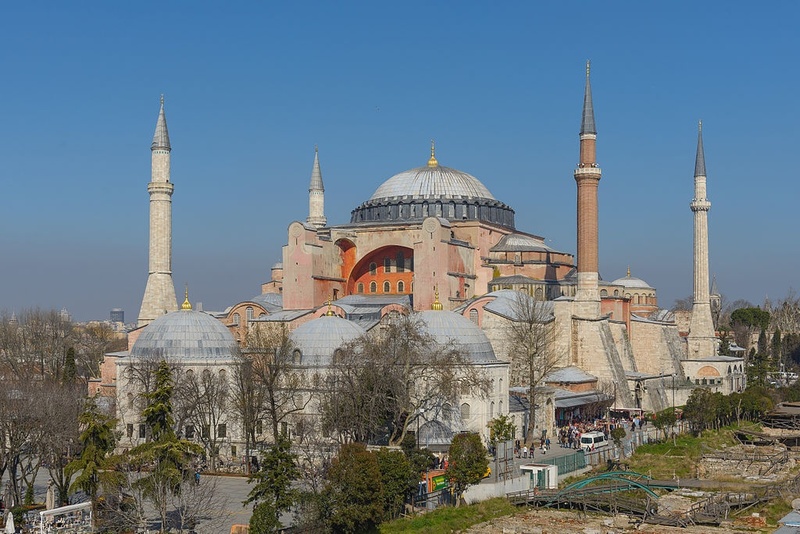 A situation with the “pearl in Constantinople’s crown” – the Greek Orthodox Archdiocese of America (GOA) is worth discussing. Last summer, some of its influential supporters spoke about independence following the example of Ukraine, but these talks were diluted. Meanwhile, for several months the Phanar has been trying to replace Archbishop Dimitrios. Against the background of the Ukrainian Autocephaly and open war with Moscow, the attempts to restrict the GOA’s independence and to remove its primate looked cynical. Otherwise, it can urge the Archdiocese’s clergy and laity to unite for independence. The rupture between the Russian Orthodox Church and the Ecumenical Patriarchate has negatively affected a lot of aspects. In cooperation with the ROC, Constantinople organized a number of active inter-confessional negotiations, but since Moscow refused to take part in them, the future of such relations, first of all with Roman Catholics, are not that promising. Moreover, the talks led by Constantinople won’t be ‘all-Orthodox’, and this can be a pretext for predominantly anti-Ecumenical Churches to abandon such inter-confessional dialogue. Besides, the Phanar’s actions will affect the Orthodox Diaspora: without the ROC, the Assemblies of Bishops won’t be that effective. At this moment, it’s unclear what awaits us in the future but one thing is obvious: the Orthodox world has changed and it will never be the same.